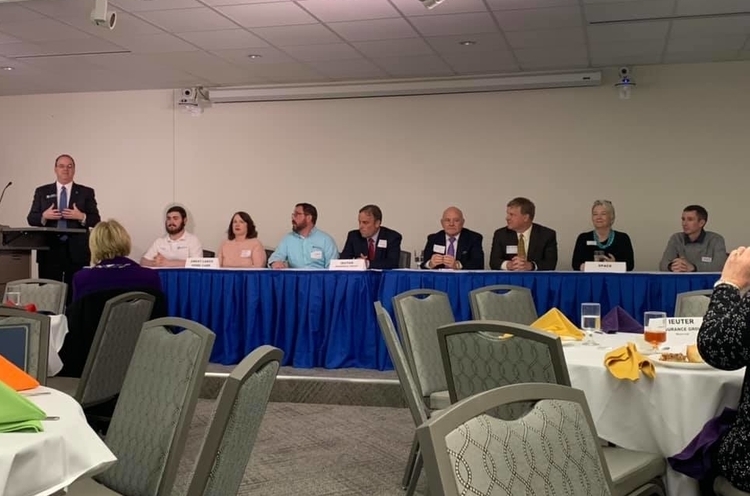 The Midland Business Alliance hosted the second Entrepreneurship Week (E-Week), April 1-5, 2019, highlighting community efforts, innovative ideas and issues facing business owners in Midland’s entrepreneurial event of the year. The week featured a suite of forums and events geared toward entrepreneurs and those looking to further develop their business. Don Tocco, Founder of Tocco & Associates, Inc. a company that develops marketing efforts for the heavy industrial construction industry, kicked off the Midland Business Alliance Membership Luncheon. Tocco spoke to the crowd about his experiences in the commercial construction and industrial development industry and his 10 principles for pursuing a dream. His book “Art of the Journey,” was available with all donated proceeds going to efforts to help Northwood University students make their way in the world of business. “E-Week showcases the broad community efforts in innovation, entrepreneurship and startup activity. 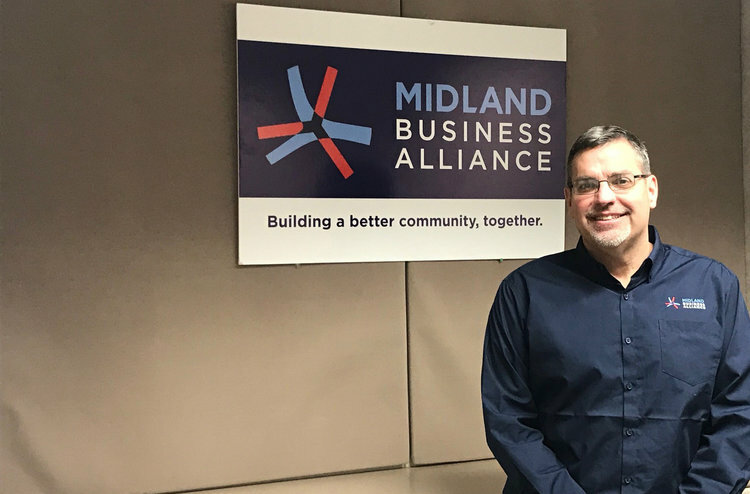 This event acts as a vibrant network of support for entrepreneurs and their efforts in Midland County,” says Tony Stamas, President and CEO of the Midland Business Alliance. Tony Stamas, President and CEO of the Midland Business Alliance. Forum events included a family business forum featuring three family-owned businesses and the challenges of tackling and balancing business and family across multiple generations. Ieuter Insurance Group, SPACE, Inc., and Great Lakes Home Care Unlimited discussed the intricacies of running a family business. There was also a Women in Entrepreneurship forum with stories with several women who shared their perspectives and entrepreneurial journeys. Notably, the ‘Patent Camp’ session included guest speaker Cheong Choon Ng, inventor of Rainbow Loom to discuss his business and how he protects his patents. “It’s an exciting time where the MBA had a chance to connect with the region’s entrepreneur community and offer a diverse set of events. From a family business forum to a ‘women in entrepreneurship’ panel and a luncheon featuring a world-renowned speaker for Detroit, we were able to appeal to anyone with an entrepreneurial spirit. With over 200 attendees throughout the week, it was a great success,” says Stamas. Panelists speak to attendees about the rewards and challenges of running a family business. Participants learned about the growing risks of cybersecurity threats at a luncheon featuring Dawn Luptowski, a cyber liability insurance agent with MCI, Mike Rule of CU Tech, Matt Space of MITCON and Scott Taber a specialist in cybersecurity with the SBDC. The panel gave insight on by best practices, real-world scenarios and action items participants can take in the digital age where risks have become a greater threat. A Shark-Tank style pitch night was held for Northwood University’s Spring Pitch Competition, where teams of students had five minutes to pitch an idea to a panel of judges. The top three pitches will be awarded monetary prizes. The week capped off with an exciting and special edition of the WakeUp! Midland monthly breakfast where the Midland Young Professionals group (MyPros) announced the first iteration of a crowdfunding effort for the favorite local food truck Pizza Baker.